Use the link below to watch a short Youtube video explaining the KS2 SATs to parents. This web site provides information, advice & revision ideas for KS 2 SATs. It's a really useful site to visit if you couldn't make our SATs presentation. It's also useful even if you did make it- there was a lot to take in! Use your personal login to access your homework and practise key skills. 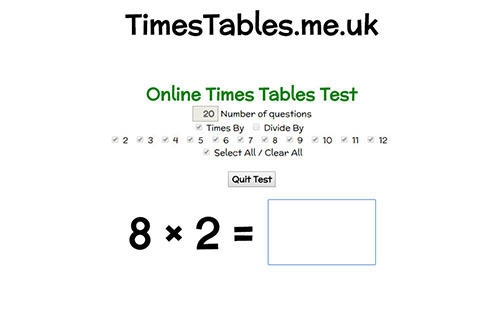 Use TimesTablesMe to practise your times tables. Have fun with your times tables!